The very first review I did on this blog was City of Golden Shadow, and it’s taken me two years, but I have finally finished Otherland. This series was long and complex, and though I complained about it a bit in previous reviews, it turned out to be truly amazing. For the longest time I kept thinking that I liked it but didn’t love it. I only really love the books I’m thoroughly sucked into and can’t stop reading, but after finishing the series and seeing how it all turned out, I think I do love it, just in a different way than I’m used to. If you’re smiling while reading the end of a book, you know it was a good one, and I think I had a stupid grin on my face for at least the last 200 pages. Thankfully, I wasn’t reading in public. I have to say this is my favorite book of the series, largely because it was where all the cool stuff happens. This is when everything that had been set up over the three previous novels comes together and gets crazy. Being the longest of the series at 900+ pages, I’m amazed I didn’t start to drift or lose focus. 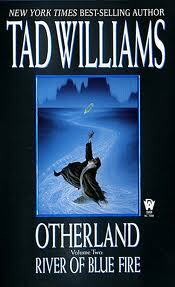 I feel like it took me three books to really get into Otherland. I had a difficult time connecting with the characters, possibly because there were so many different story lines. There wasn’t a nice long time to get into a character’s head and get to know them. I think Paul Jonas and Christabel were my favorites because their story lines were a bit more focused, with fewer characters, so I felt like I had a better chance to get to know them. In the end though, I loved them all. This series has been both intriguing and fascinating, but is altogether too long. It has great ideas and poses some interesting questions about where society is headed, and the possibility of immortality through technology, but is a little too drawn out and tends to lose its momentum. I wonder what it would have been like if it were condensed. There just seems to be a little too much filler in between the good stuff. I also feel that the author could have taken more advantage of the creation of a myriad of simulated worlds in the Otherland network. Many of them fell along classical lines and weren’t as imaginative as I would have wanted. Often, the story would overstay its welcome in a particular world. In this novel, I felt too much time was spent in ancient Greece, particularly the Odyssey and the Trojan War. Now if you have a particular interest in either of those things, then I suppose it’s great, but for me, I feel like I’m too familiar with those subjects, making it far less captivating. Dread is as terrifying as ever in this volume, and more information is revealed about his origins as well as what the Grail Brotherhood is really up to. I would say that these two elements were the most interesting. I’m still puzzled by Renie and !Xabbu’s relationship, which seems to be heading more and more into a romantic direction but without ever actually getting there. As hard as I try I just can’t seem to picture them together in that way, especially since he hasn’t had a human sim for the better part of the story. Something about !Xabbu’s gentle nature, makes him seem an odd match for Renie’s more forceful personality. Perhaps I should be more open minded. Ultimately, I wish this were the last book in the series, not because I want it to be over with, but because at this point I just want to see how it all turns out. After spending at least two thousand pages in Otherland, it feels like it’s about time for a conclusion. Maybe I’m just impatient. Unfortunately, I have another nine hundred pages to go. I think I’ll take a break for a while. 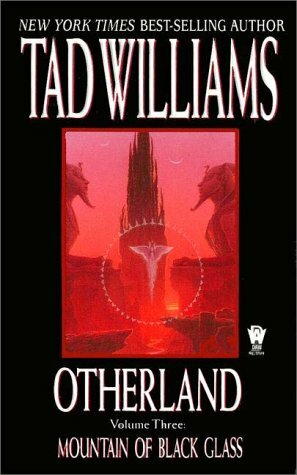 Before the novel even starts, Tad Williams explains how Otherland to him is just one very long novel, but out of necessity had to be broken into multiple volumes, which explains the abrupt cliff hangers. My estimation would put the whole story in the neighborhood of 2,500 pages, so I can understand why he had to break it up. I would also like to thank him so much for the synopsis at the beginning of the book! I hope every installment has one. With such a complex story it’s easy to forget a few important details, no matter how closely you pay attention. Take your time with it. Read slowly and let it absorb. You really need to read and thoroughly comprehend each and every sentence. They are so loaded with information that without doing so you might become hopelessly lost. No skimming here. I find the “netfeeds” at the start of every chapter add depth to the story, and help you get to know the not so distantly futuristic world that spawns Otherland. It gives subtle insights into the sociology of the society itself. Catherine Fisher’s Incarceron used a similar technique and it really adds to the story. Otherland is a story of different people traveling through different worlds created on the internet. Some worlds are more interesting than others, but that’s a matter of personal taste. 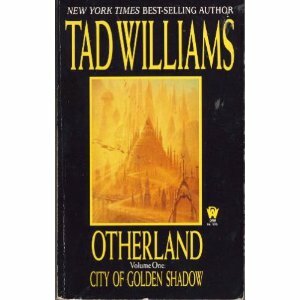 This book spent most of its time in Otherland, rather than the real world, compared to City of Golden Shadow which spent a lot of time in the real world, and I liked that more. What can I say? Reality is overrated. Many of the worlds in Otherland come from classic stories. I’m a fan of re-imaginings and Tad Williams’ take on a twisted version of the Wizard of Oz has to be my favorite so far. Being a slow moving story, and with so many different characters and plot lines, the development of those characters is slow moving as well. It took until the end of this book for me to feel much closer to them than I had before, especially Renie and !Xabbu, who have an undefinable relationship that made it difficult for me to connect with them. As the story progresses we learn more about the man behind the Otherland network and the mentality of the people who contributed to its creation, as well as the connections between the many characters introduced so far, and a few new ones. I have to say, Paul Jonas and little Christabell continue to be my favorites, and Paul makes some great strides in his journey, while things get a little complicated for Christabell. Martine’s back story is also intriguing. This is the first of four books and quite a long one at that. At close to 800 pages it’s a bit of a time investment. That being said if you’re used to reading fast paced 300 page James Patterson novels…this book probably isn’t for you. Likewise, if you’re looking for epic fantasy battles, you won’t find that either. I have a hard time deciding how to categorize this book. Is it Sci-Fi? Or maybe Fantasy? My local library seems to think it’s Fantasy, but I think of it more as a combination of the two. On the science fiction side, you have our world in a future not so different from today, except that interaction with the internet is far more advanced, using fancy virtual reality equipment to feel like you’re really there, when it’s just a simulation. The authors portrayal of the internet culture as well as the internet itself is really accurate, which I think is pretty cool, considering the book was written around 1995. The virtual places visited, and the adventures experienced there, feel more reminiscent of Fantasy to me, and I really like the combination. Essentially the book has 5 or 6 storylines going at once, separately at first, until they start to converge later on. I admit, I found some more interesting than others. Keeping track of these story lines could be confusing, but I felt it kept things interesting. Ultimately, I liked it, despite its length and potential confusion, and I intend to read the rest of the series. So far so good.